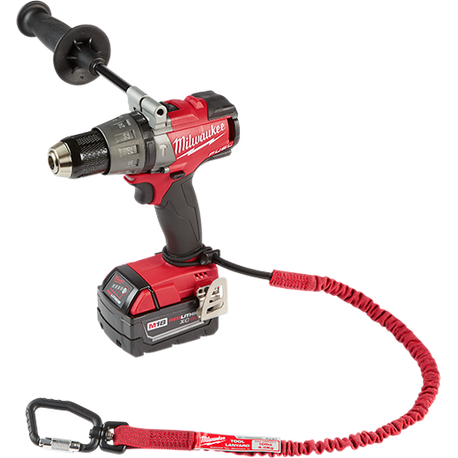 MILWAUKEE® Locking Tool Lanyards help users stay safe and productive while working at heights by reducing the risks associated with dropped tools. 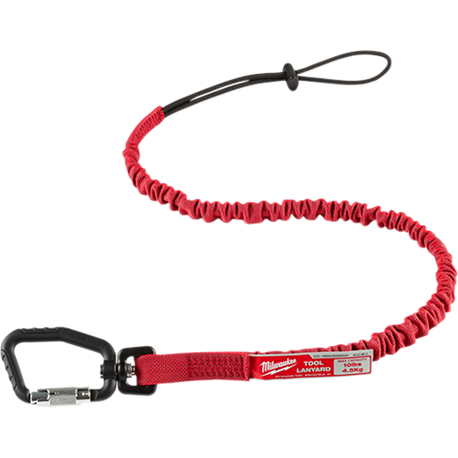 The lanyard is engineered to provide shock absorption, slowing the tool gradually if a drop occurs. Locking carabiners require double actions to open, ensuring a secure connection. Integrated swiveling carabiner reduces twists when using tools. Serial numbers visible for inventory management. Color coded to easily identify the lanyard’s weight rating. Third-party tested at 2:1 safety factor.